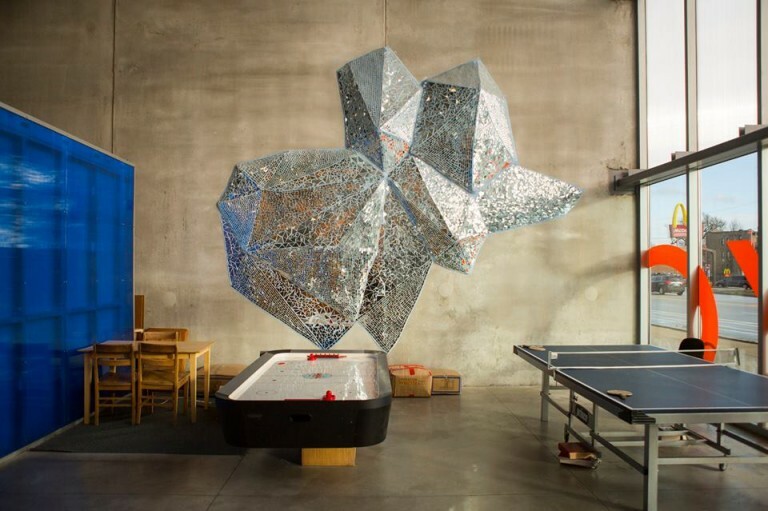 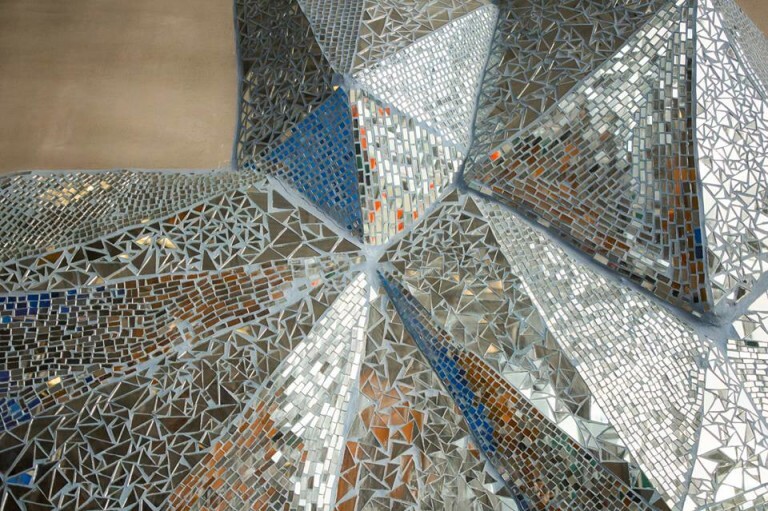 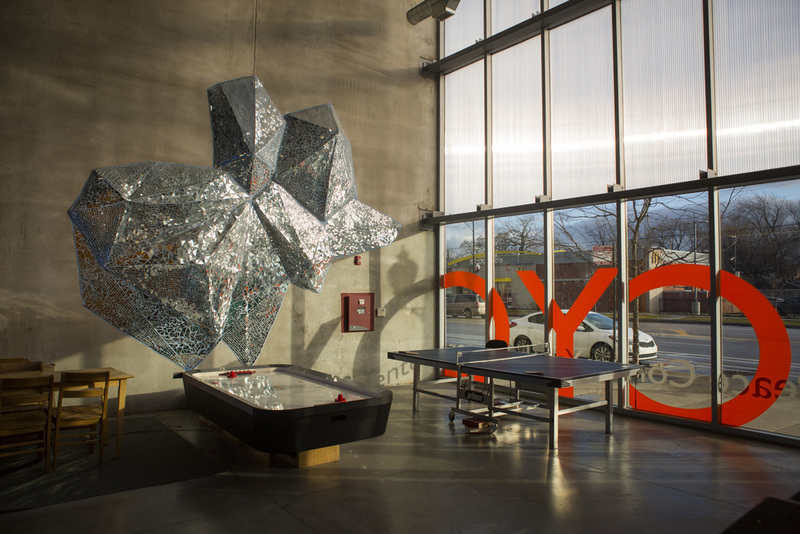 Description: Located inside the youth center, this three-dimensional geometric installation is covered entirely with cut mirror. 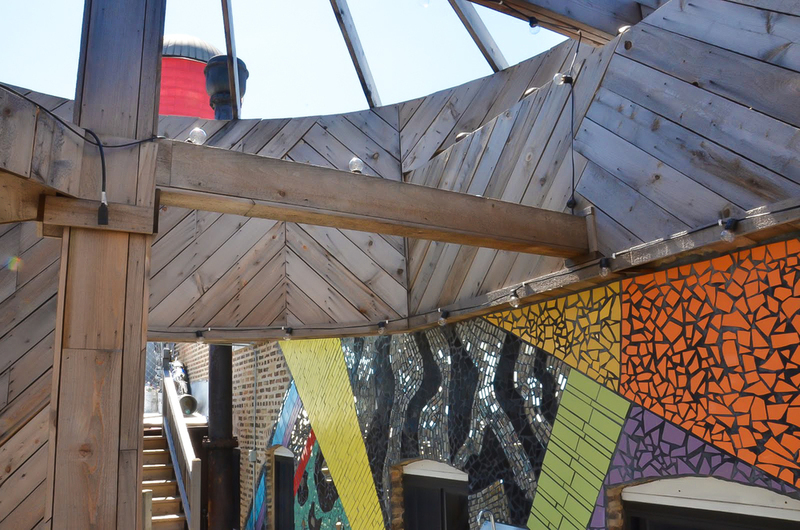 Description: High school students from the Austin area created murals that cover the community center's front entrance and window wells on the side of the building. 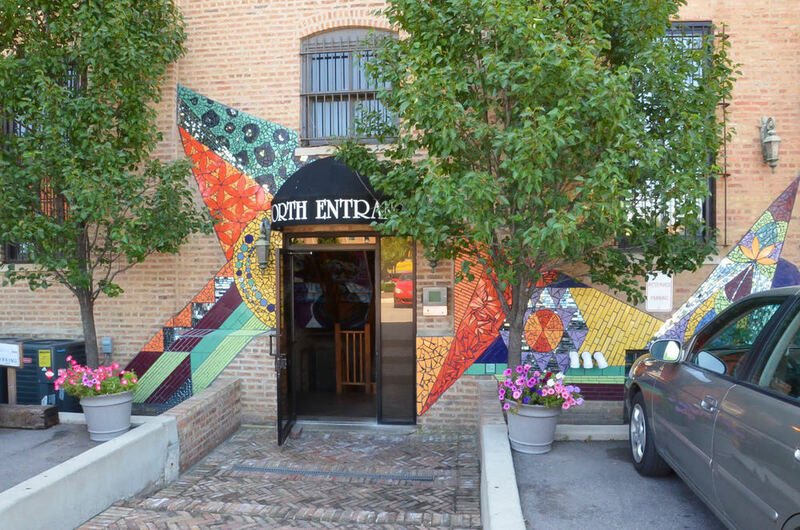 Description: Four murals brighten up the main floor restrooms, rooftop bar, and the north and southeast entrances of this multipurpose cultural arts center.